The RBI, in its final bi-monthly monetary policy review for FY19, decided to cut the repo rate by 25bps to 6.25% and changed its policy stance to "neutral" from calibrated tightening. Consequently, the reverse repo rate under the LAF stands adjusted to 6.0%, and the marginal standing facility (MSF) rate and the Bank Rate to 6.5%. The decision to change the monetary policy stance was unanimous, while the MPC voted 4:2 in favour of a rate cut. 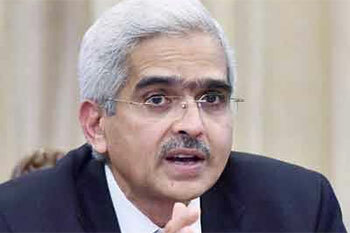 This is the first policy review under new governor Shaktikanta Das. Further, the MPC reiterated its commitment to achieving the medium-term target for headline inflation of 4% on a durable basis. "The MPC decided to change the monetary policy stance from calibrated tightening to neutral. These decisions are in consonance with the objective of achieving the medium-term target for consumer price index (CPI) inflation of 4% within a band of +/- 2%, while supporting growth," the apex bank said in a press note. Why did the central bank slash the repo rate? The RBI has been following headline inflation targeting as a policy path from 2016 and will continue to do so until 2021. • Headline inflation has remained subdued for the last 5 months with December 2018 witnessing a CPI of 2.2%, mainly owing to continuing food deflation. In addition, CPI has been revised downwards to 2.8% in Q4 of FY19, 3.2-3.4% in H1FY20 and 3.9% in Q3FY20, with risks broadly balanced around the central trajectory. This is well below the 4% midline target set by the RBI until 2021. • Fuel and electricity prices have also moderated more than anticipated in the last few months. • Although core inflation remains high, mainly owing to services, the rise in prices of health and education could be a one-off case. • Crude oil prices are also expected to remain soft owing to the growth slump in the global economy. • The impact of the increase in HRA for central government employees has come as expected. • The bank assumes a normal monsoon in 2019; hence, food inflation may remain subdued. • The rate cut also comes as a necessary push for growth in credit offtake to industries. Turning to the growth outlook, the RBI had projected GDP growth for FY19 at 7.4% (7.2-7.3% in H2) and at 7.5% for H1FY20, with risks somewhat to the downside. The CSO has estimated GDP growth at 7.2% for FY19. • Aggregate bank credit and overall financial flows to the industry have started being swift, however, they need to be broad-based. • Exports may be hit further owing to global headwinds despite benign crude oil prices and the lagged tailwinds owing to the rupee’s depreciation. The RBI stated that the shift in stance provides it more flexibility to deal with factors that challenge growth going forward. Having said that, the bank announced a slew of measures for banks and NBFCs: revising the definition of bulk deposits, harmonization of major categories of NBFCs in credit intermediation, which would go on to reduce the intricacies arising from multiple categories, as well as raising the limit for collateral­-free agriculture loans from Rs1 lakh to Rs1.6 lakh.